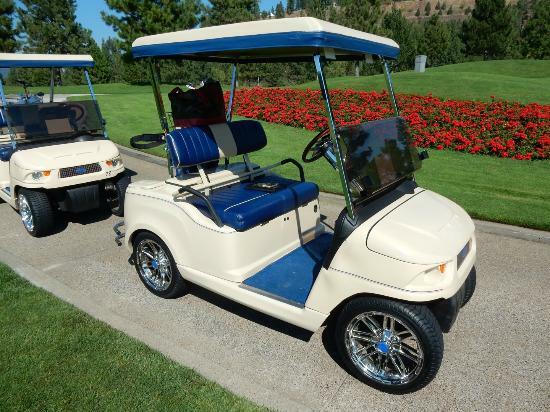 Coeur d' Alene Resort, Coeur d' Alene, Idaho - Golf course information and reviews. Address: 115 S. 2nd St. Designer Scott Miller's vision was to create a golf course that offered a stimulating round of golf, surrounded by a park-like environment. 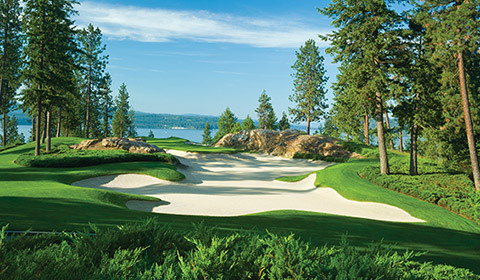 The result is fairways that play from tee to green on lush carpets of Bent Grass, accented with beds of brilliant red Geraniums, acres of fragrant Junipers and the mountain water challenges of Lake Coeur d'Alene and Fernan Creek. The 6,803 yard, par 71 course is designed around four distinct geographic features: an expansive lakeshore, a forested ridge, gently rolling woodlands and Fernan Creek, a revitalized trout stream. 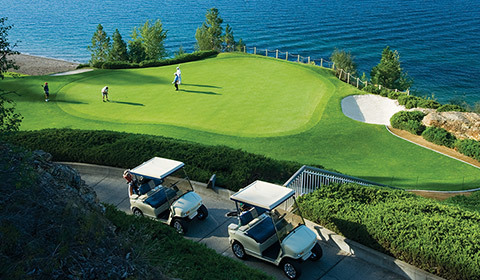 Add a course review for Coeur d' Alene Resort. 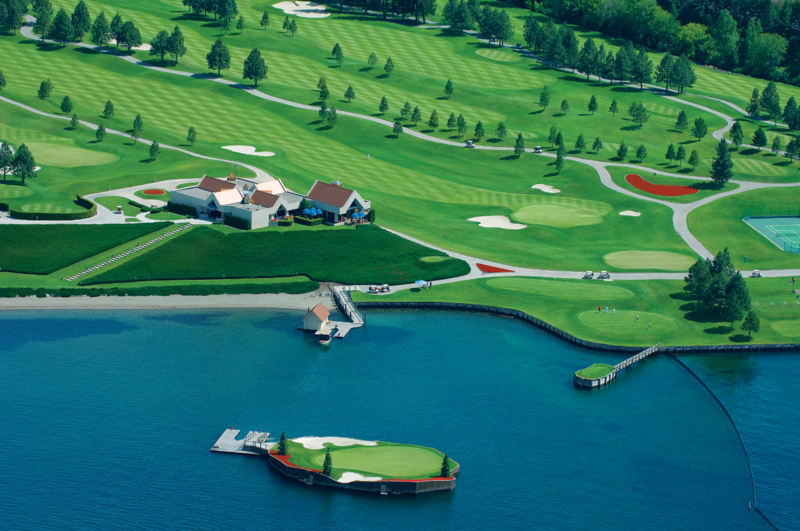 Edit/Delete course review for Coeur d' Alene Resort.